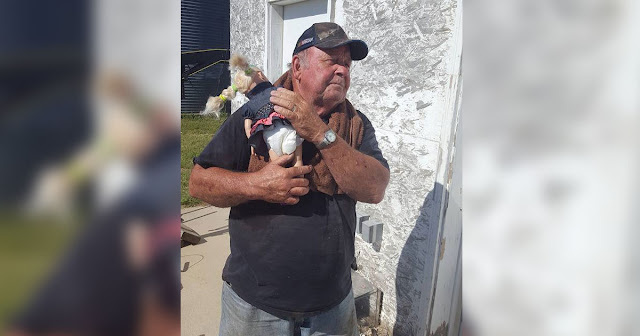 One Kansas girl had an odd request for her father when she asked him to spend the day with his “granddaughter” and take her to work with him. Joselyn, who is currently 9 years old, treats her toy doll Abbie as if she were her own daughter. 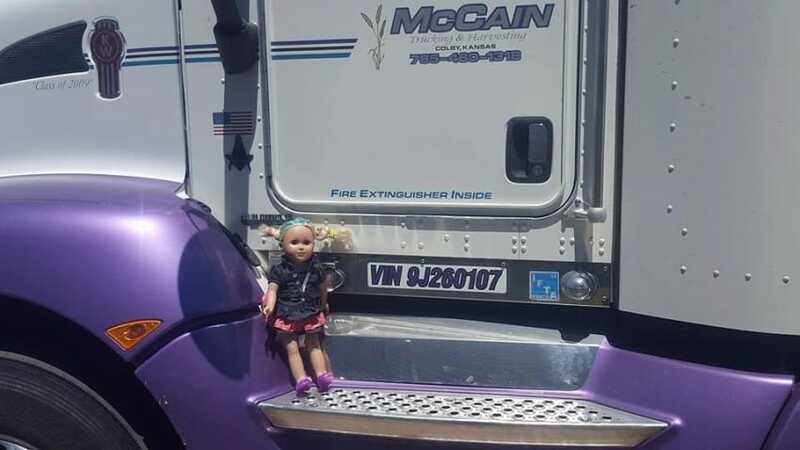 Joselyn’s dad currently runs a trucking and harvesting company by the name of McCain Enterprises, and he took Abbie along on his daily ride while documenting the day for Joselyn. 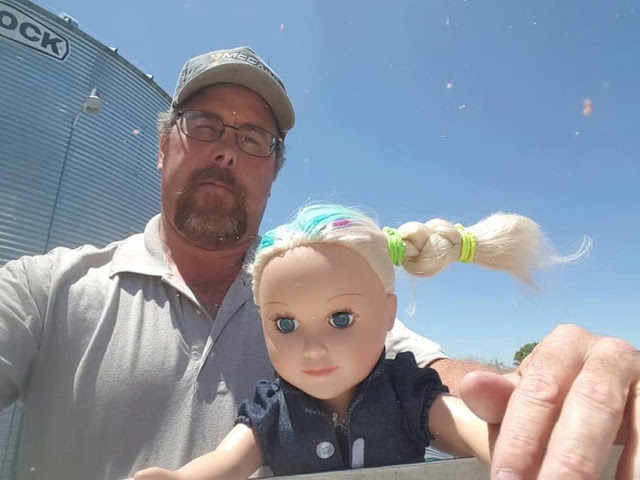 Located in Colby, Kansas, the amazing father took his daughter’s doll for the ride of a lifetime. 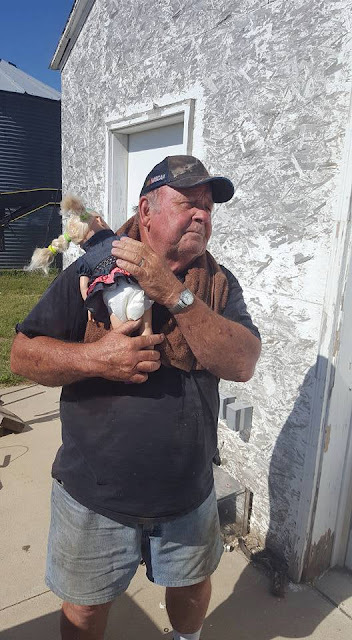 Securely fastening his “granddaughter” to the front seat, Joselyn’s dad continued his work with the doll safely at his side the entire day. 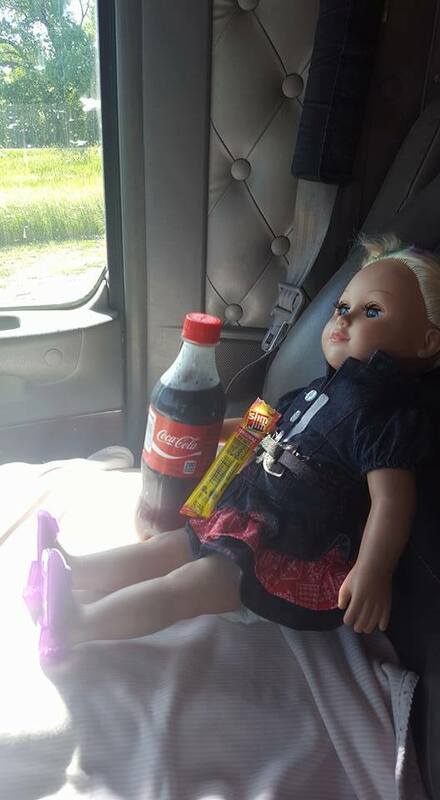 The dad even stopped by to buy some snacks for the doll so she would not be hungry during the long day ahead! 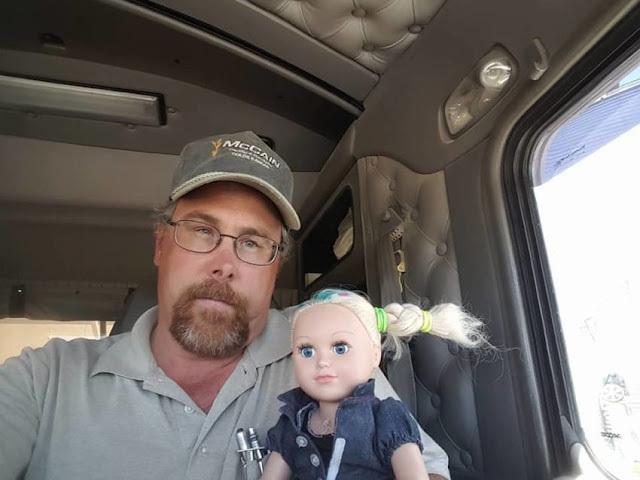 Joselyn’s grandpa works directly with her father at the trucking and harvesting company, so Abbie even had the chance to spend some quality time with her “great-grandfather,” making the whole experience even better. It is amazing to see these two grown men happily walking around with this plastic doll. These two incredible fathers would clearly do anything Joselyn’s heart desired to make her happy. 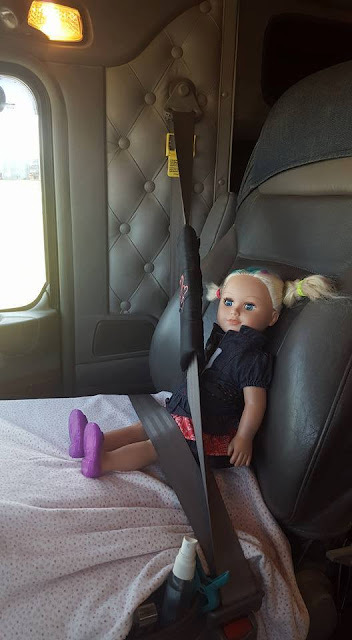 After her long day at work with Grandpa, Abbie was ready to get back into the truck and head back home into the loving embrace of Joselyn. Lucky for Joselyn, her dad is now officially certified to babysit Abbie if the time comes once again!